My friend Angela (who I have known since 1st grade!) 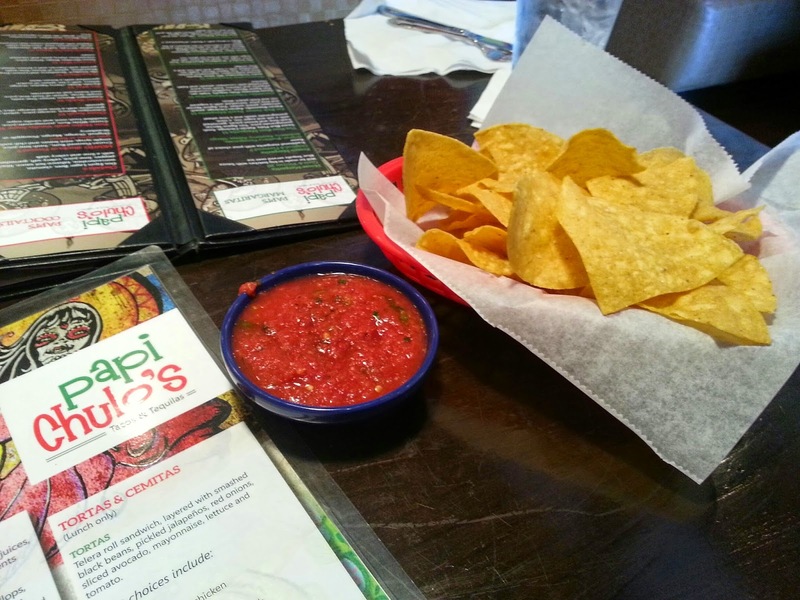 told me about Papi Chulos recently, so we decided to go out there and check them out. The restaurant is located on Touchton Rd, where Urban Flats used to be. We sat down and started looking at the menu, which is huge, and ordered drinks. Now I'm going to get this out of the way first, because it tainted my whole meal...my drink glass was dirty. Like dirty dirty. Like someone's drink was in there previously and it wasn't washed, dirty. And the worst part is that it wasn't noticeable until after I drank a little bit of the drink. The only way to describe how this feels is to use an 80's quote....grody to the max!! The waiter gave me a new drink but I was grossed out about it for the entire meal. Now that that is out of the way, on to the food! They brought out chips and salsa, and I ordered some queso. We really liked the salsa, it tasted super fresh. The queso was also really good. 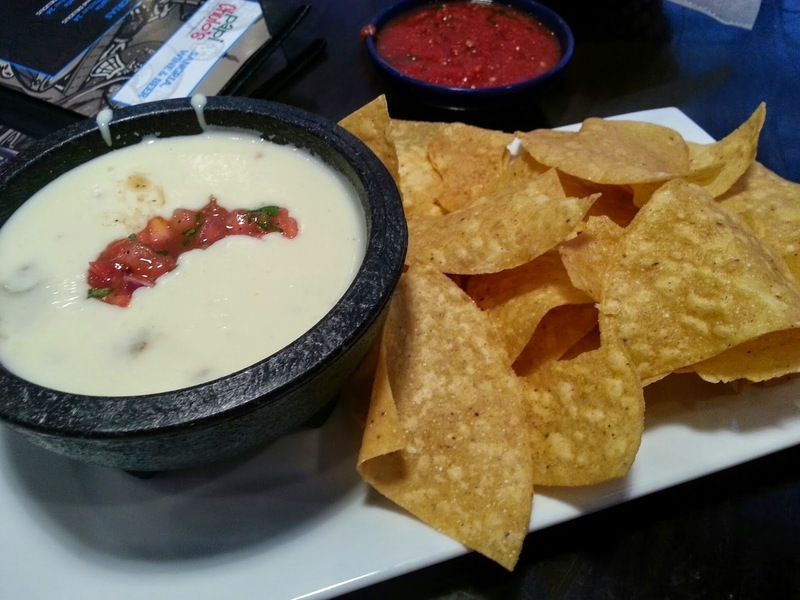 But really, can queso ever be bad? 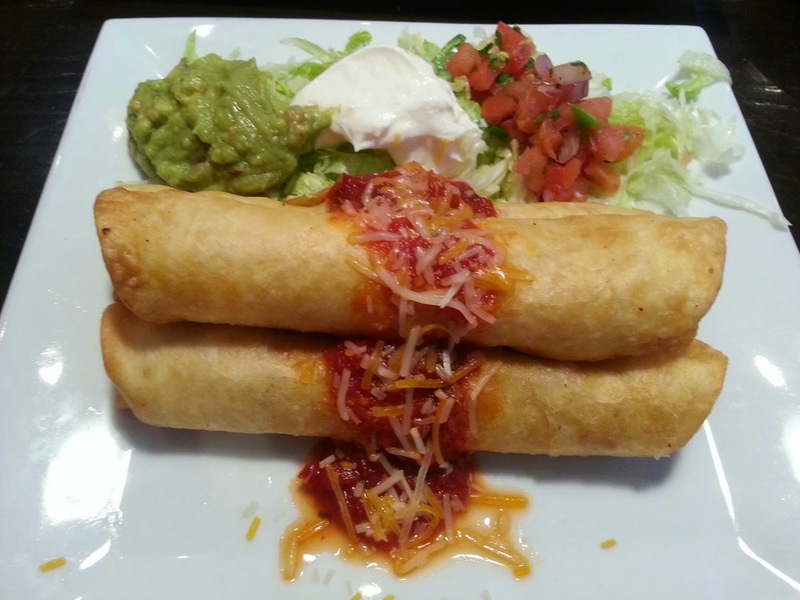 I decided on a few different things, the first was Chicken Flautas. I am always looking for flautas, so I was so excited to find them here. Well I ordered chicken, but I got beef. I ate it anyway because I am not opposed to beef, but I reallllllllly wanted chicken. Still, it they were very tasty and I enjoyed the guacamole and sour cream that came on the side. 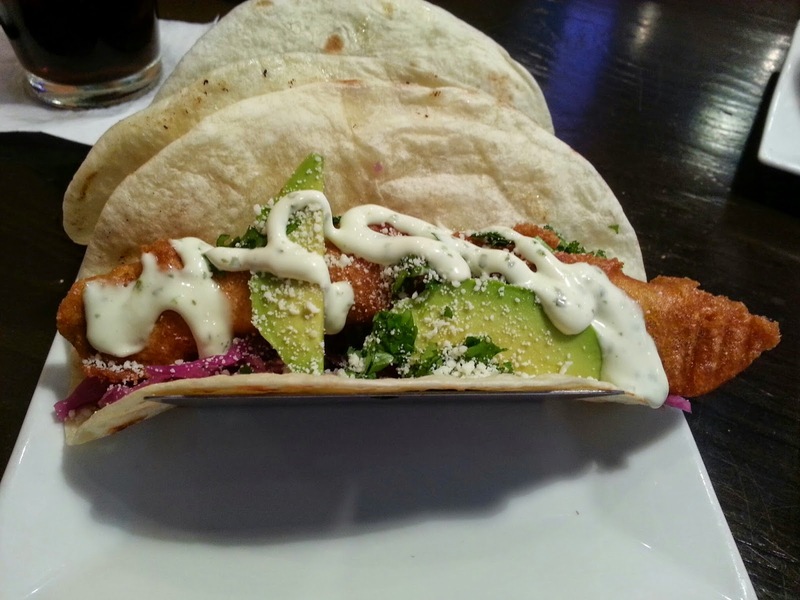 My second item was the California Dreamer taco, which is Mahi (beer battered or blackened). nappa cabbage slaw, cilantro, pickled red onions, avocado, cilantro lime sauce, pico de gallo and cotija cheese. I actually ordered mine without the red onion, but it came on there anyway. I scraped it off and moved on. The taco was absolutely delicious!! One of the best fish tacos I have ever had. The fish piece was huge and very tasty!! 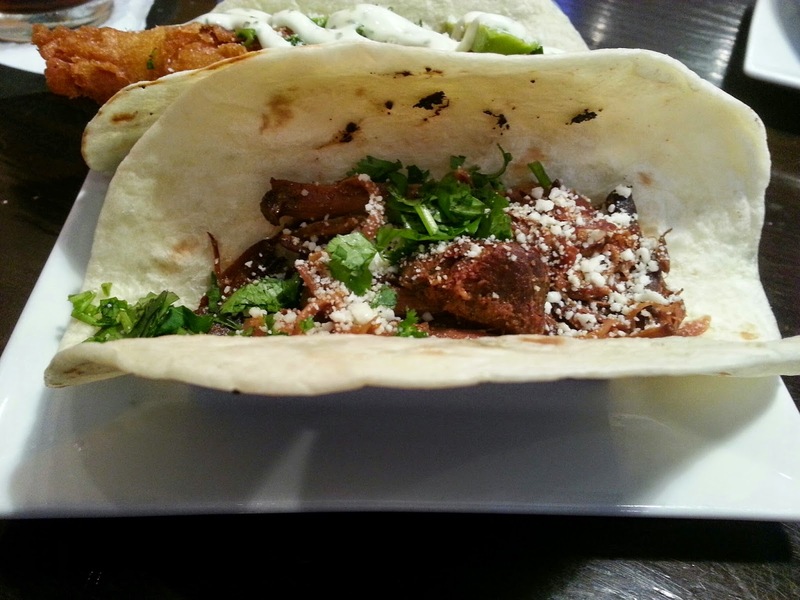 I also ordered a Carnitas taco. The pork was very flavorful and juicy. I thought it tasted great! I also ordered some Fried Plantains thinking I was getting tostones. What I actually got was sweet plantains. 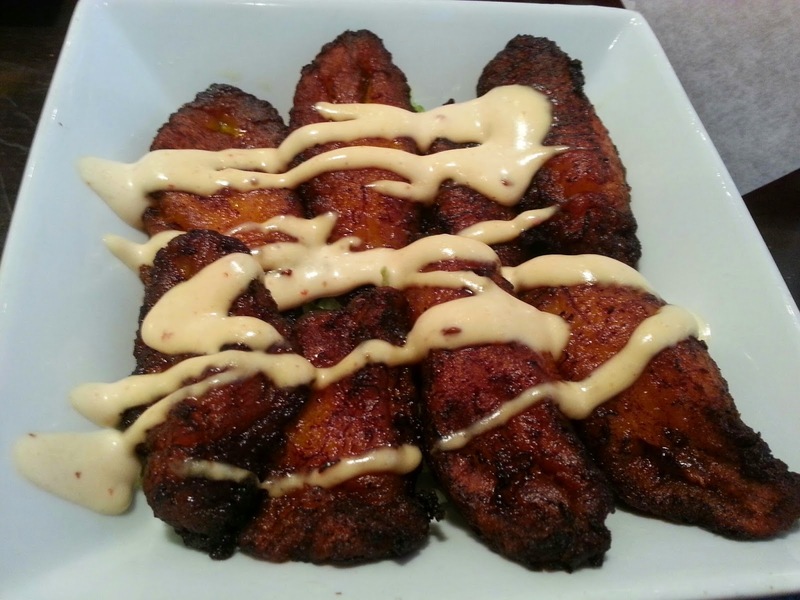 They really need to update their menu or add a description, because fried plantains are tostones, period. I am not a fan of sweet plantains, so I can't really judge this one. Angela liked them, and said the sauce on there was really good. Now, here is Angela's review!! Hi I'm Angela, an old school (literally) friend of Jill & lover of all things foodie related. I was immediately intrigued by the Papi Chulos sign I saw on Southside but surprised to discover that it was a Mexican restaurant considering the "Papi Chulos" term is more associated with other Spanish speaking countries, but back to the main subject... the food! I ordered the Flight which was a sampler of all three of their ceviches (again, not really something you find at a Mexican place!). Papis Ceviche was a combo of mahi mahi, scallops & shrimp. I failed to taste any scallops but it was very citrusy and not too bad. Probably my least fav though! The second was Mango & Mahi ceviche. My mango pieces were partially frozen which took away from the dish. Very citrusy tasting. The last & my fav bc I LOVE avocado was the Shrimp & Avocado ceviche. It was an even mix of both but also an almost overwhelming citrus taste. 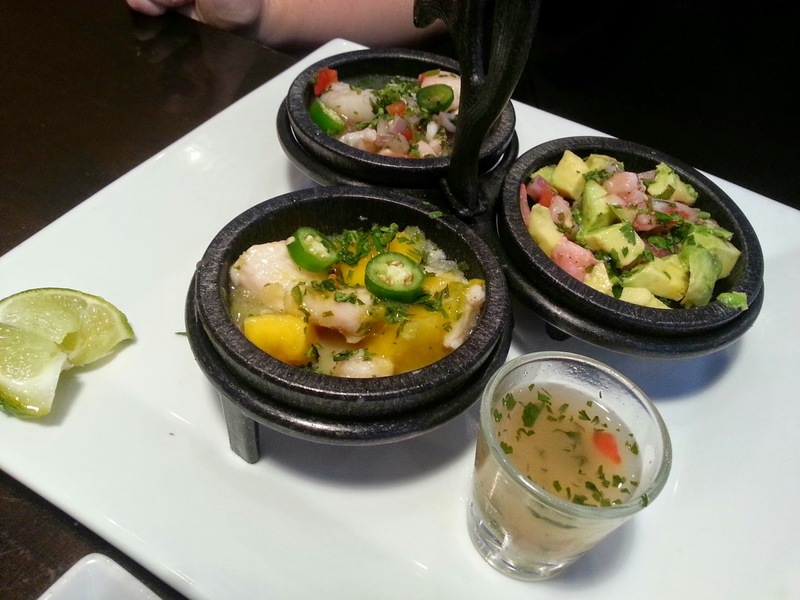 I really enjoy ceviche but I feel all three of these lacked flavor. It felt like the star was the citrus instead of the seafood! However their menu held other tasty treats that Jill sampled so I would definitely go back! 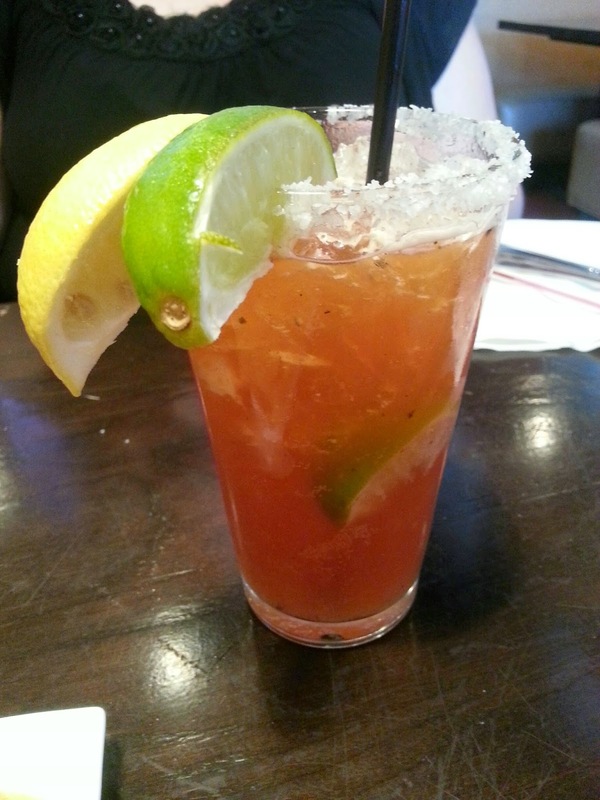 Angela also ordered a Chelada, which is Beer with clamato and lime juice. She really enjoyed it! The food was really good and they had a variety of different menu items. They are still new so they have to work out the kinks, but I think they have potential. If you are in the area, give them a shot!